WE RECOMMEND PLAYING ON iPHONE 5 (& UP) OR iPAD 3 (& UP) AS iPAD 2, iPAD MINI 1 AND iPHONE 4S MAY EXPERIENCE PROBLEMS. Now here’s how you build a sequel! 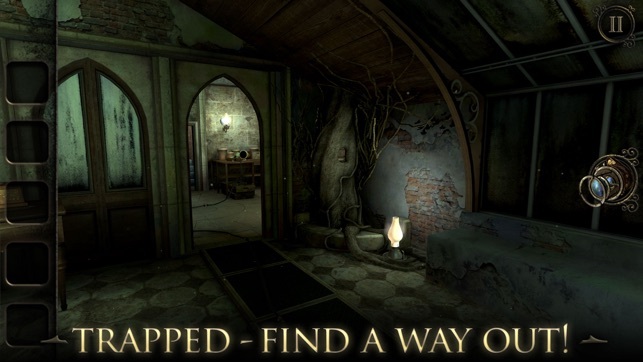 With The Room Three, Fireproof Games kept everything we love about this series—its chilling atmosphere, mind-bending puzzles, and beautiful visuals—while making masterful enhancements. It’s no wonder it’s an Honorable Mention for Best Mobile Game at this year’s Game Developers Conference. The story continues with trials set by a creepy new nemesis, The Craftsman. 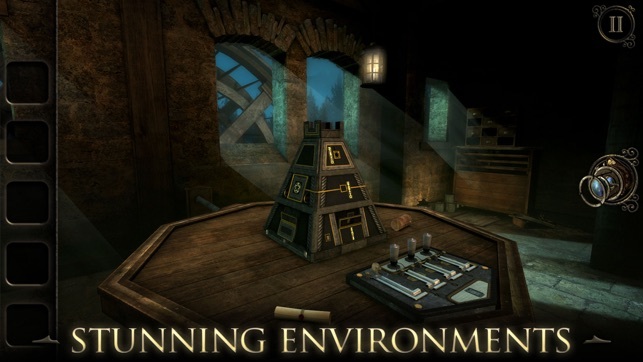 As you explore huge areas and tiny ones, the challenges feel increasingly epic, and a better-than-ever hint system ensures that finding solutions is super-rewarding. 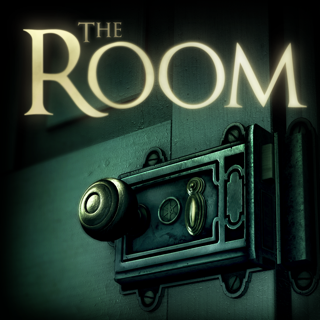 With The Room Three the epic puzzle journey continues. One of the biggest reasons you can enjoy The Room Three is due to the absolutely fantastic art and decorum of the game. The folks at Fireproof know how to create some beautiful artwork, and believe me, The Room Three is artwork. 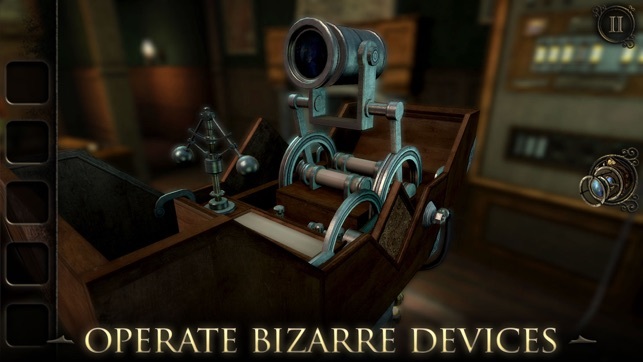 When you throw in the engaging puzzles with their satisfying sounds and awesome animations, you're left with a puzzle game that simply blows away anything you'll find on the App Store. The competition is not even close. The Room Three is a game I mostly play at night right before I go to bed. It's a game that is very imaginative. The story is just esoteric enough to not border on contrived and ridiculous. The gameplay is great. Some have suggested the controls can be awkward. 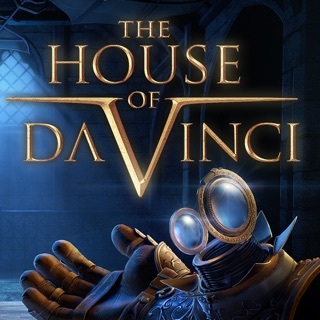 Yet my experience has been the controls are very responsive and though I haven't finished the game yet I have put in a few hours and I have not had any problems at all. In fact,I applaud the game maker for making the controls so lifelike and fluid. 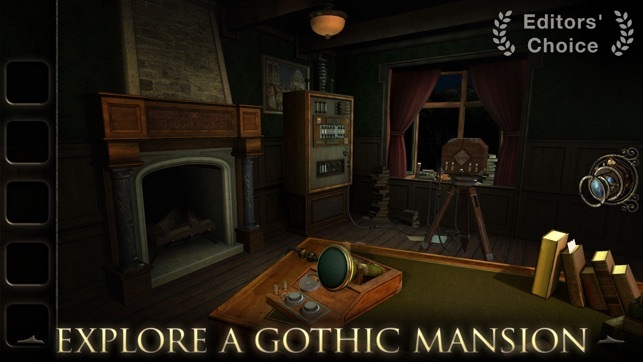 It has no equal in the App Store for its genre of game. Also, I wanted to give a lot of credit to the game maker for only charging 5 bucks. We all pay a lot more for far less entertainment and content. Get this game and be prepared for a lot of fun. Bottom line is The Room Three may very well be the best game ever, as a whole, in the App Store. I cannot endorse or recommend this game enough. Everything about it is stunning and a work of art. 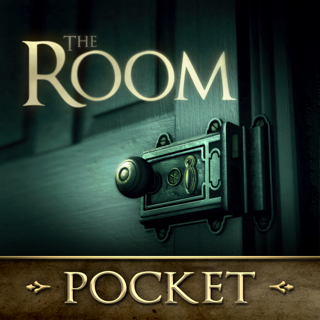 The Room series sets the standard for iPad gaming, and so far nothing else I've found comes close to competing. 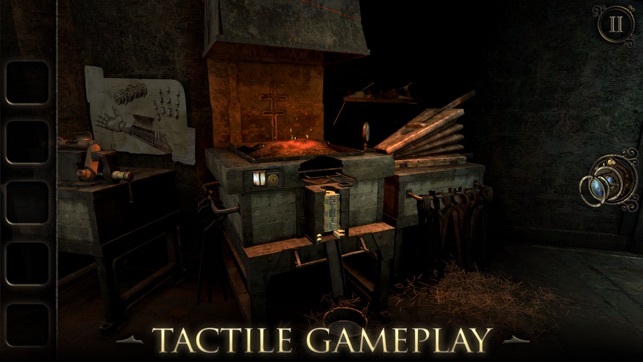 Fully immersive, spectacular graphics, beautiful sound, and a challenging experience. The first time I played the first in the series, my jaw dropped, and I have been on a quest for truly excellent gaming ever since. There are a handful of good games out there (paltry few), but so far The Room is still king. Room 3 adds a level of complexity by not only maintaining the "zoom in closer... closer...." puzzles, but rather than focusing on one area that can be explored on a macro and micro level, you explore many such areas. There are times in this game where it starts to feel more like the "map searching" of a HOG than it has in the past two iterations, and some of the wonder of infinite size and complexity gets lost as you're simply moving from room to room (only in a few spots in the game, though) but over all they have maintained the integrity of the series. If you've stumbled on this without being familiar with the first two games, run (don't walk) to the original Room game and purchase it now. Warning: once you've started on these games, you will be spoiled. Every other game out there will feel flat and you'll realize how much other mobile game developers have failed to truly take advantage of the platform.